Catamount Stadium, at near its full development, in 1985. 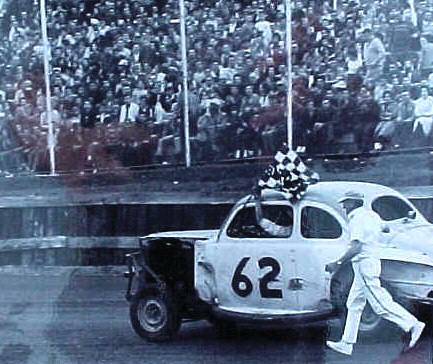 Welcome to my unofficial website for the former stock car racing track known as Catamount Stadium. 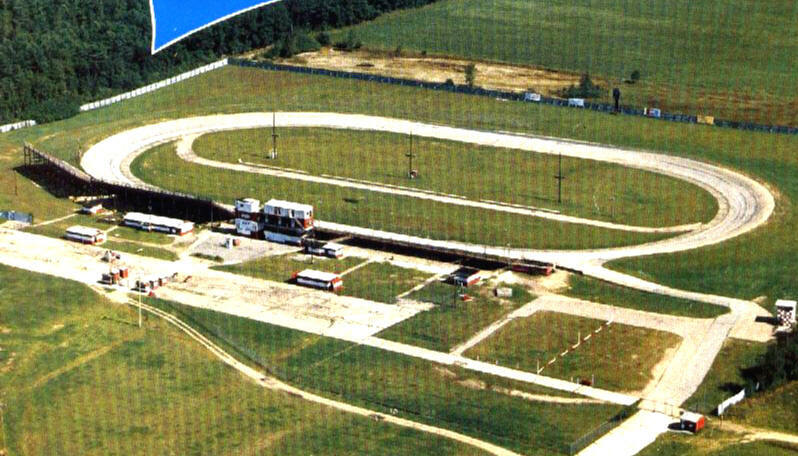 It had a strong effect on my life, personally because, in 1968, three years after its opening, I accepted a teaching job in the town of Milton, Vermont mainly because the track was located there. Thirty - five years later, with Catamount Stadium long gone, I still work in Milton. 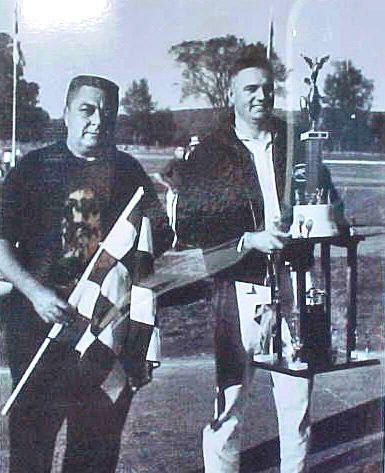 Photo Courtesy of Pascal "Magnum"
The track had enjoyed considerable notoriety - for a small third - mile oval in northern Vermont, but it always was about the people who were involved in its multi-decade life. It was about drivers ranging from the nationally - known Kevin Lepages and Ricky Cravens to the almost - totally - anonymous Bob Daniels and Russ Waites; it was about the big names in motor sports journalism, ranging from Ken Squier, a household name in motor sport announcing, to writers of limited notoriety like Bill Ladabouche; it was about famous fans sitting in the private boxes and about everyday people from Ferrisburg, hauling in their coolers and bags of cheese doodles. 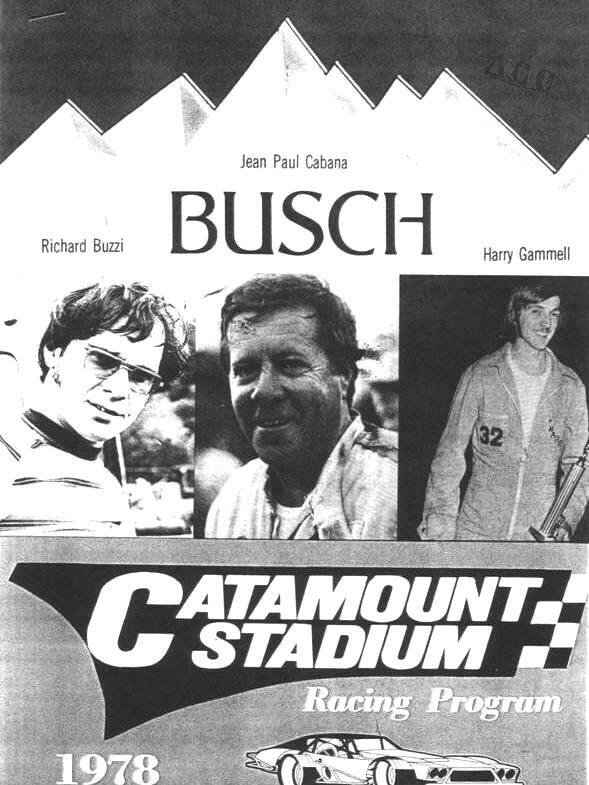 Catamount Stadium began with comparatively little fanfare, reached a real zenith of success and reputation in the 1980's, and then bowed out, almost with a whimper, hosting a damned enduro race. Its history is still not settled, as a few of its participants still perform on the large and small stages of the racing world.... and there is still some outstanding litigation from the circumstances surrounding both its inception and its demise. The following Catamount Stadium program from 1978 pretty much says it all. It has the heritage and excellence of Canada's Jean-Paul Cabana, still effective into his late forties, featured with Richard Buzzi, whose father Libero was a famous mechanic for some of Cabana's opponents in 1960 - and Harry Gammell - whose father, Johnnie, was a former Vermont State Champion. 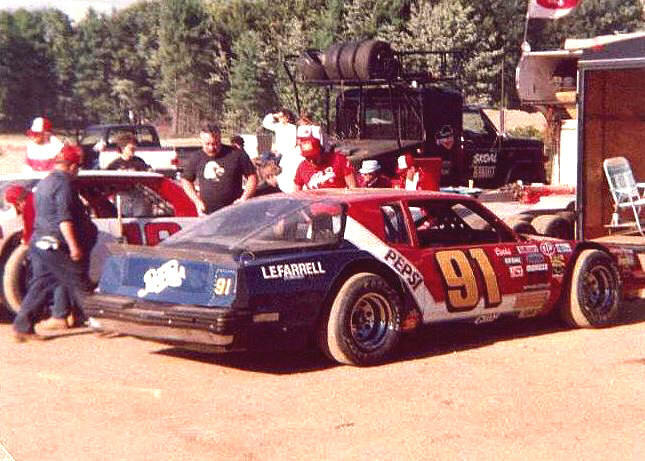 Jean-Paul Cabana won both the first and last feature races at Catamount. His career embraced both the elder Buzzi, the elder Gammell, and their respective sons. This pretty says it all about his place in the history of the track. Below, Cabana attends a Thunder Road reunion at Barre in 2004, as he talks with former Catamount handicapper Dr. Gordon Neilson [left]. Kenley Squier, the son of a radio station owner, went from riding his bicycle to a track to announce races....to national prominence as a broadcaster. He was a part owner in Catamount. Someone once said of Ken, "He could make a wheelbarrow race sound exciting". When I first saw Tom Curley in 1968, he was a Flying Tiger driver of limited fame who didn't seem to be able to avoid spinning out regularly. 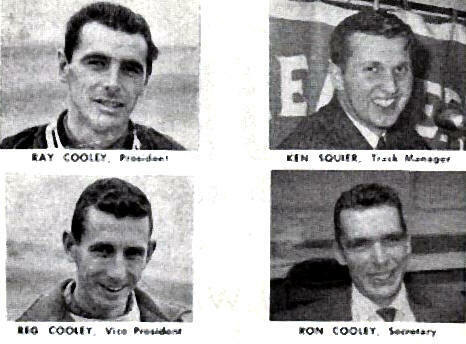 Years later, the preppy-attired Curley came back and - with tremendous dedication - brought Catamount to the forefront of small-track racing at its time. His name is synonymous with the American-Canadian Tour. 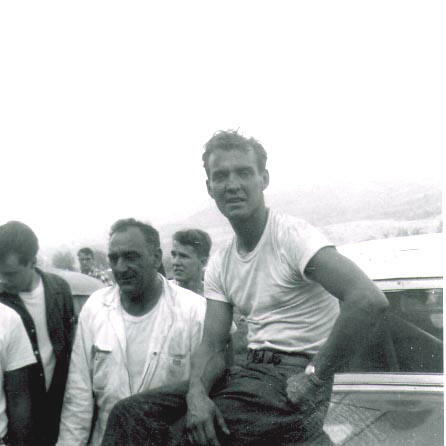 Archie Blackadar was a devoted NASCAR official. 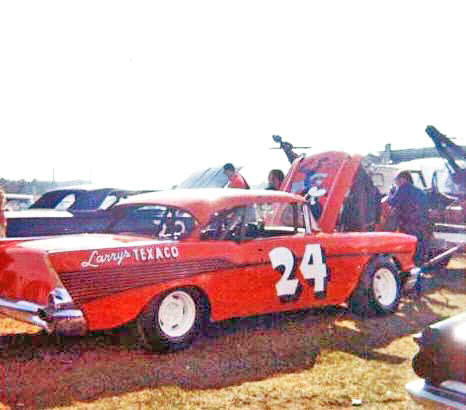 He began as a flagger at places like Northeast Speedway and Dog River Speedway and ended as Chief Pit Steward at Catamount. No man had a stranger walk and no man was ever any nicer than Archie. 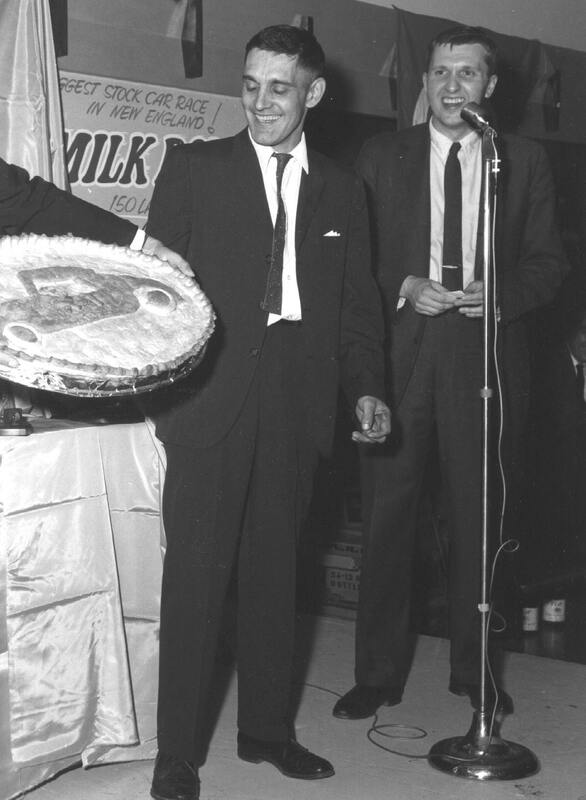 Gordon Fitzgerald [left] was one of Catamount's founders. 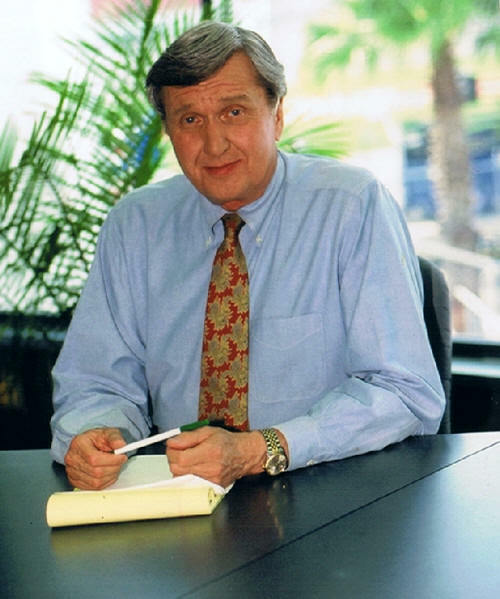 [Cooley Construction] John Campbell, Sr.